While there are bits and pieces of many recognizable influences in the palette of this Spanish band, I keep coming back to Museo Rosenbach. This is very much the same kind of dark, heavy progressive rock at which the classic Italian band excelled. And also like Museo, the quality is high enough to bode well for its staying power – not that I’m saying October Equus is quite in that exalted realm, since only time will tell how it ages, but it’s good stuff. The other main comparison is Änglagård, and Mellotron has something to do with that, as well as the fondness for minor keys and the fact that it’s entirely instrumental. In fact, October Equus is more relentlessly minor and even dissonant than either of the bands mentioned, into the territory of King Crimson, Present, or Univers Zero. But what this band has going for them over Crimson is more variety in tone colors. In addition to the ‘Tron, the keyboards feature good work on organ, piano, and the kind of Clavinet/harpsichord sounds that Kerry Minnear used to use with Gentle Giant. And the rhythms are less repetitive than Present – one thing about this album is that it’s constantly changing. It’s pretty dense stuff, but you weren’t looking for party music anyway, were you? 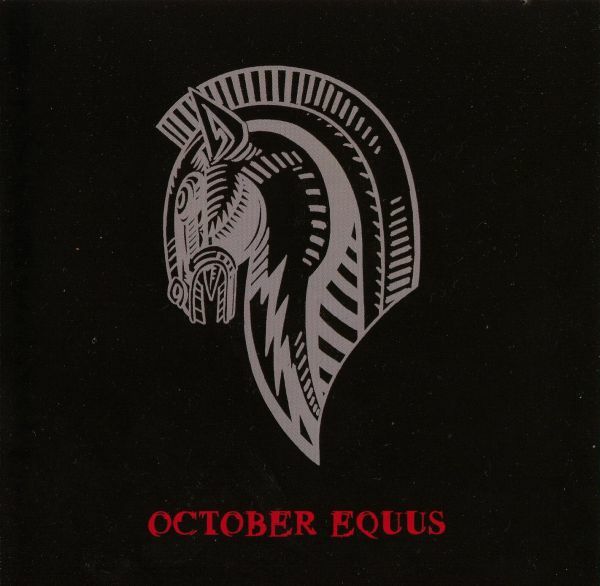 October Equus is a new progressive quartet from Spain comprised of Victor Rodriguez on keyboards, Amanda Pazos on bass guitar, Txema Fernandes on drums, and Ángel Ontalva on guitars. On their self-titled debut release they play finely crafted instrumental music with roots in some of the Twentieth Century’s finest classical and progressive music composers from Bartok and Stravinsky to Robert Fripp and Univers Zero. The album opens with “Lupus in Fabula,” that immediately sets the tone for the remainder of the disc. This is strong, powerful music with Victor’s organ chops paying homage to Le Orme’s Felona e Serona. The remainder of the disc is the monumental six-part “October Equus Suite,” “Reliqua Tempora,” “Minus Nihilo,” and “Hydra.” October Equus are accomplished musicians and it is obvious that these compositions are not thrown together through improvisation but instead are well constructed and orchestrated. Never boring, October Equus extends intelligent chamber rock and creates a new masterpiece that demands your attention and concentration. This is one truly outstanding record that is a joy to experience.